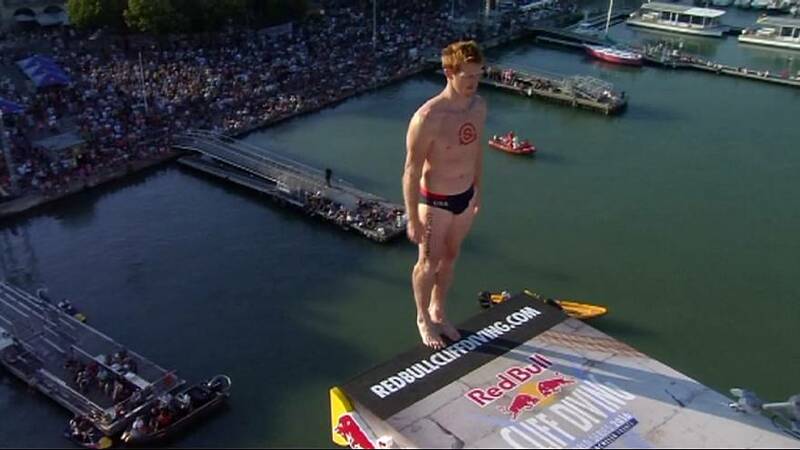 The world’s top professional cliff divers challenged themselves in a thrilling competition on the fourth stage of the 2016 World Series at La Rochelle in France on Saturday (July 23). Britain’s Gary Hunt produced a stunning comeback to win the stage, impressing spectators with two of the hardest dives in the world. Hunt, 32, was trailing in 12th place after two rounds. But in front of an estimated 70,000 fans, his ‘Front 3 Somersaults 4 1/2 Twists’ helped him rise to the top of the table.